Travelling in Europe by rail is quickly becoming the thing to do. 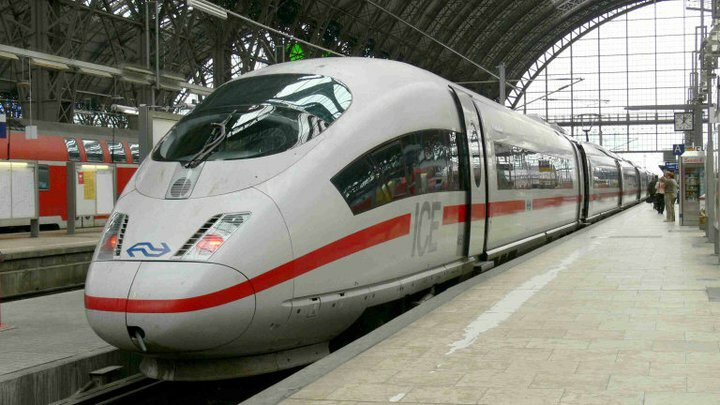 With high speed services crossing the continent it is now faster then ever to reach your destination. With Eurostar services travelling from central London to Central Paris in 2h15 minutes and fares starting from only £69 it is greener, cheaper and quicker to take the train rather then fly! Point-to-Point tickets in many European countries are our speciality. From Paris to Rome, Brussels to Cologne, London to Budapest or wherever you wish. We will recommend the best route to reach your destination. And don't forget to ask for tickets from your home station, in most cases we can offer CIV tickets to London International. These fares, in addition to including the London Underground from your terminal station to London St Pancras, offer a level of flexibility and assurance that normal ATOC tickets don't. If your connecting train is late then Eurostar are bound by the International Conditions of Carriage (Convention Internationale pour le transport des Voyageurs or CIV) to carry you on the next available service. (Please ensure that you submit your correct email address and telephone number otherwise we will be unable to get back to you). Please enter some information so that we can help prepare for your journey.